The HSE Professional SCUBA Course at CDT is an intensive full time residential programme designed to prepare candidates for media, scientific and archaeological diving projects. The mandatory course content dictated by the HSE has been significantly expanded upon, built on our own extensive experience within the industry. 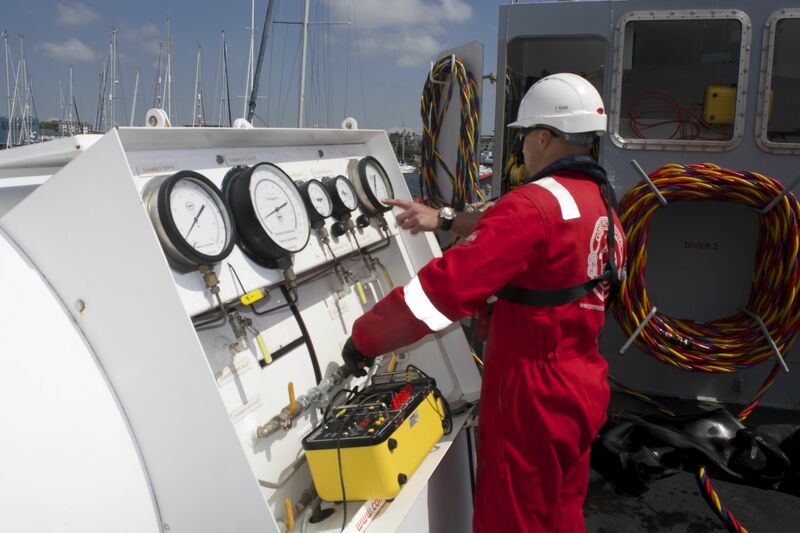 Dives will be undertaken from a variety of coded vessels including our 2 x 24m Ex Admiralty Fleet Tenders – MV Hambledon & Loyal Watcher, 12m Work Boat and 8.5m Rigid Hulled Inflatable Boat (RIB). Practical tasks will be undertaken by all candidates, day and night, including preparation of project plans, risk assessments, survey reports, stills photography and small boat handling. 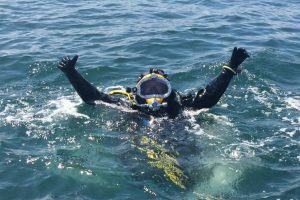 Q: Why do I need HSE Professional SCUBA? A: If you intend to be paid for any underwater work in the UK you will require a HSE qualification. The Professional SCUBA course is the minimum requirement if you wish to work in Media, Archaeological and Scientific diving projects. It is also the pre-requisite for the HSE Surface Supplied course. Q: Do I only need Professional SCUBA to work? A: If you are only involved in a Media, Archeological or Scientific diving project then yes. However, if your project comes under the INLAND/INSHORE ACoP (of which all ‘work’ falls under) and you are using tools, a risk of entrapment or there is an overhead environment then no. For this you would need HSE Surface Supplied and the Professional SCUBA is the prerequisite for this, so you are already half way there. Q: I have little or no diving experience, is this a problem? A: No. We are the only HSE training provider that asks you to have an entry level SCUBA certification (PADI Open Water of BSAC Ocean Diver). This is because we will teach you to be a Commercial Diver, not how to dive. At CDT, we feel it better that you know if you are comfortable in the underwater environment rather than overcoming any apprehensions after you’ve paid for your course. 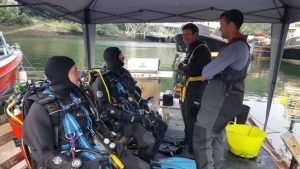 The course specific to Commercial Diver Training has been designed to teach Commercial methods from day one of diving operations. Experience will be gained in progressive steps, including an increase in depth and tasks as you progress through the course. Q: I am an experienced recreational diver, why do I have to do another SCUBA course? A: The recreational and professional qualifications are totally different. 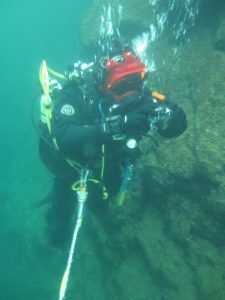 During the HSE Professional Scuba you will learn about Full Face Masks (AGA, EXO, KMB18/28), hard wire communications, through water communications, lifeline signals, decompression procedures, and Decompression Chamber procedures, none of which are taught within the recreational spectrum to this level. All of our staff are qualified recreational Instructors who fully understand the recreational training systems. 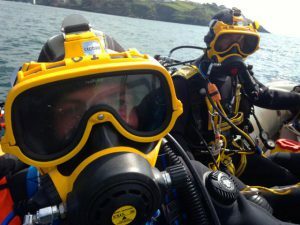 You will need the HSE Professional SCUBA qualification if you wish to undertake the HSE Surface Supplied Diver course.